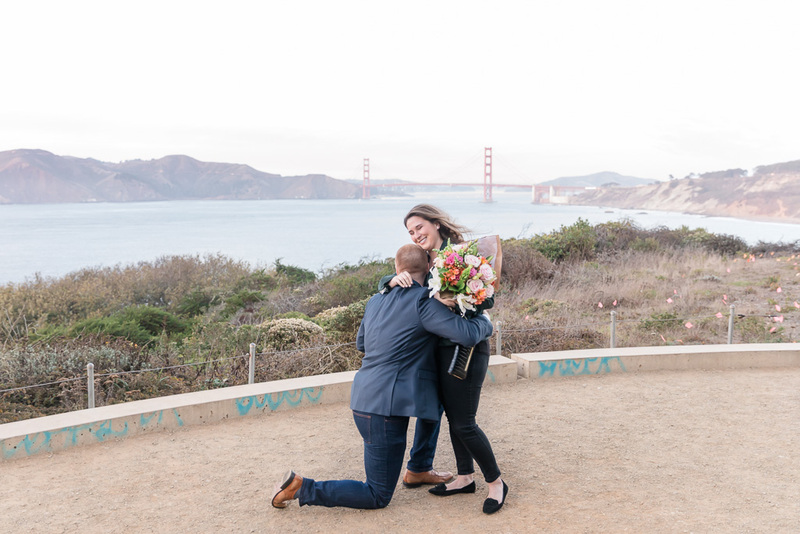 Proposals that are this thoughtfully planned far in advance are always such a joy to witness. 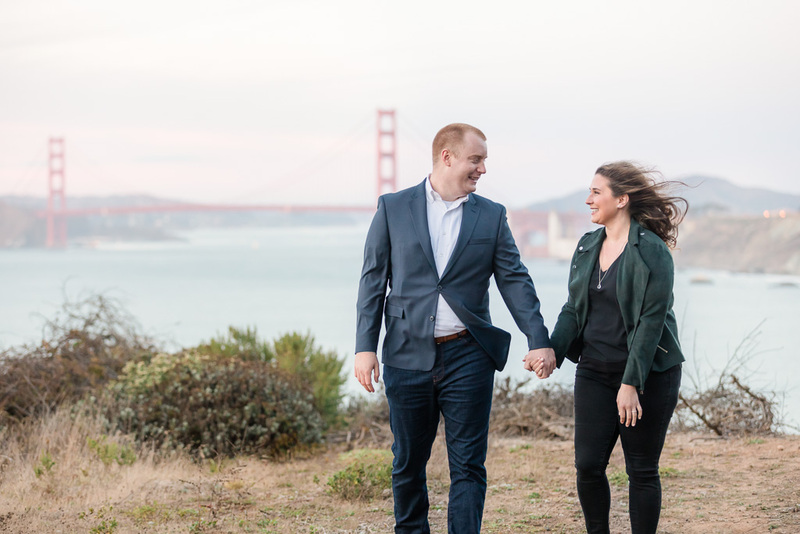 Lowell had considered a couple of potential locations, and he ended up deciding to have his proposal on the Lands End Trail at a point that was relatively quiet, with a great view of the San Francisco Bay inlet and the Golden Gate Bridge. 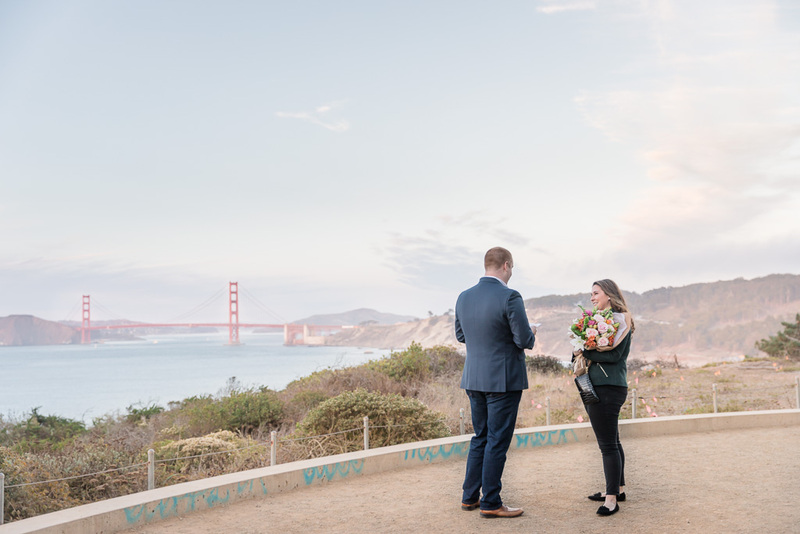 In the days leading up to the proposal, Colleen’s friend had told her there was a special, unadvertised art exhibit at Lands End that they had to go check out, and their arrival was timed to be right at sunset. 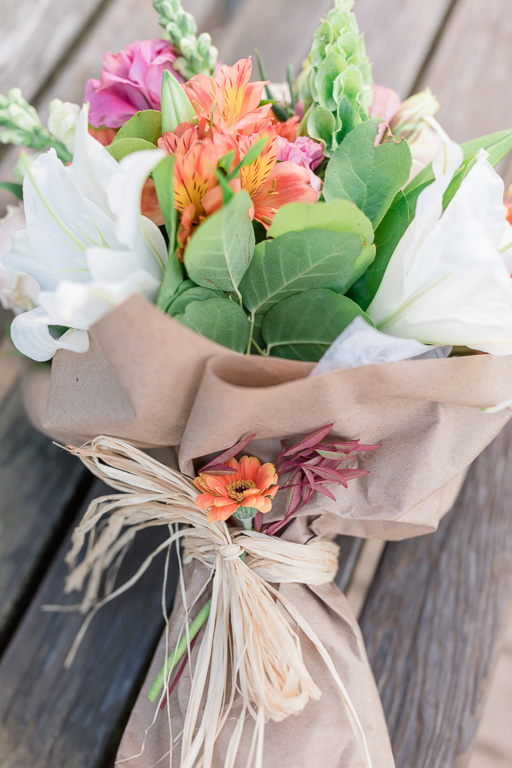 Back at the trail, Lowell had arranged in advance for a guitarist/singer to be waiting on one of the benches. 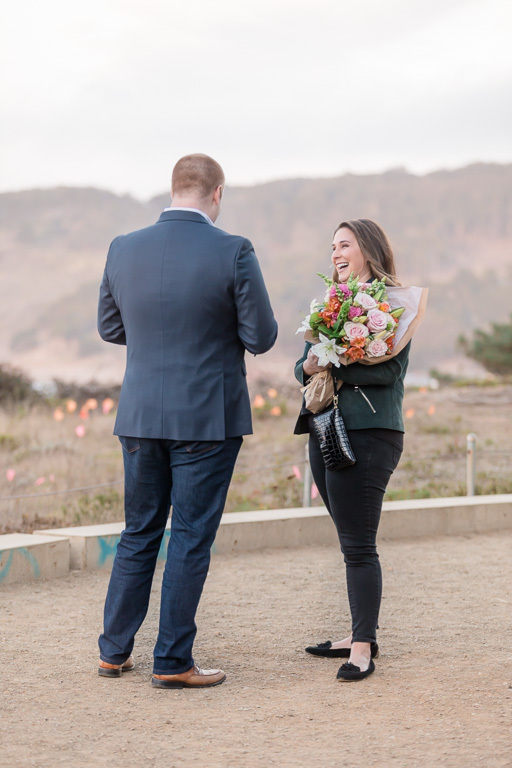 As Colleen arrived, she was greeted with her favorite song “Can’t Help Falling in Love,” a fresh bouquet of flowers, and her fiancé-to-be. 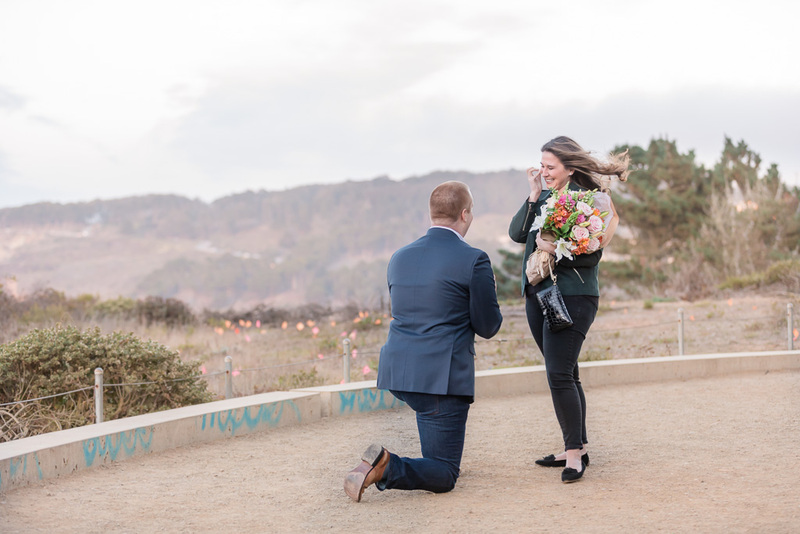 You can see the rest of the story in these photos below 🙂 Congrats to Lowell & Colleen!